Our New Life Center Radio has received a prestigious peer selection recognition award! 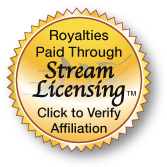 We have been selected from the Stream Licensing Directory to be a Featured Station in the Praise and Worship genre. Stream Licensing takes pride in the selection of featured stations, and this is a great accomplishment and is recognized by our industry peers. We Love New Life Center Radio!